The first national awards for control room staff will recognise “ordinary people doing an extraordinary job”, says the man in charge of managing 999 calls for a UK police force. The Control Room Awards have been launched by APD Communications, which specialises in mission critical solutions for blue light services and a variety of public and private sector organisations. The APD Control Room Awards are the first to recognise and reward unsung heroes within critical control rooms across the UK and have been endorsed by several emergency services organisations. John Flynn, Head of Contact Management for Wiltshire Police, said: “Control room operators are ordinary people doing an extraordinary job. Every day they come to work not knowing what they might deal with, what the next phone call will be. “When our staff answer a 999 call they have no time to prepare for what the next few seconds will bring. A police officer sent to an incident often has some time to prepare themselves for what they will face when they get there, whereas a control room operator never knows what’s coming next. Mr Flynn said Wiltshire Police was actively participating in the awards and encouraging entries recognising the excellent work of staff in the Contact Management team. He added: “The reality is our control room staff deal with life and death situations – people don’t ring us to tell us they’re having a good day. “We have situations where our staff find themselves dealing with people who are threatening to take their lives. When officers get to the scene we will often call out a trained negotiator but, on many occasions, a control room operator performs that role in the first instance – trying to engage with the caller, talk them round and make them see there are other alternatives to taking their lives. APD develops critical, life-saving software used by the police and other emergency services organisations across the country, as well as transport and aviation operators nationally and internationally. 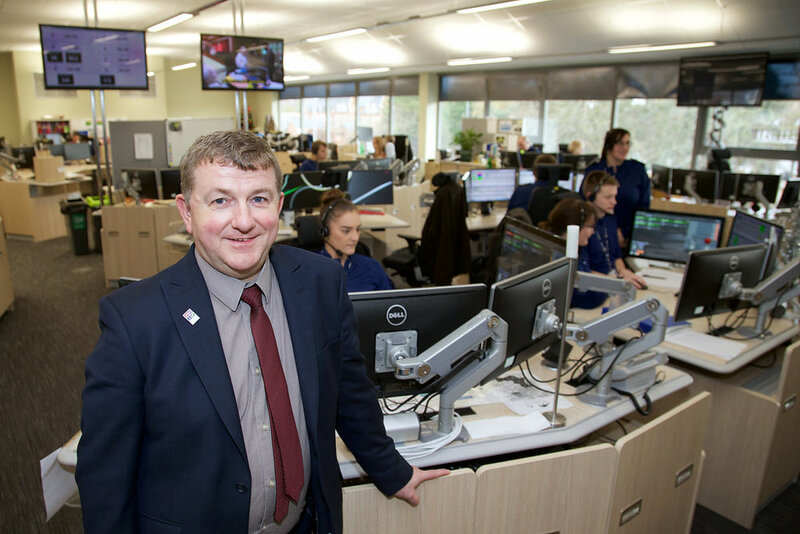 APD Managing Director Mike Isherwood said: “We work closely with a wide range of emergency services and mission critical organisations and our technology is integral to their control room operations. “Because of this we’re very familiar with the extraordinary work of control room staff, often dealing with distressing situations and under significant pressure. The APD Control Room Awards are an opportunity to celebrate and recognise publicly the great contribution made by control room staff to keeping the public safe and secure. Leading tech company telent Technology Services in sponsoring the Control Room Awards as the Platinum Partner, while the British Association of Public Safety Communications Officials (British APCO) is backing the awards as primary partner. Nominations are open until January 18, with the awards shortlists scheduled to be announced on February 1.